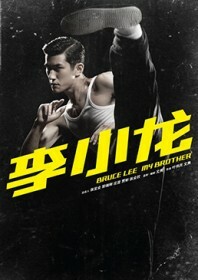 Rose-tinted, highly romanticised Hong Kong biopic focusing on the early life of Bruce Lee, which makes a neat companion piece to the rose-tinted, highly romanticised American biopic Dragon: The Bruce Lee Story. Whereas the latter film – based on a book by his widow, Linda – portrayed Lee as the immigrant-made-good in a divided 1960s America, this film is based on a book by his brother, Robert Lee (who also introduces the film with their sister, Phoebe), which takes the story up to his departure for San Francisco at the age of 18. His formative years were fascinating. He was a child film star and minor Hong Kong celebrity born into a large, privileged household ruled with a severe governance by his thespian father, Lee Hoi-chuen. His father’s fears of emasculation at the head of a mostly female-dominated family cause him to assert an even greater authority, not helped by Lee being given a girl’s name, Lee Sai-fon (meaning ‘small phoenix’) as a superstitious ploy to guard the boy from evil spirits. Here we find a Hong Kong in rapid economic ascension and on the brink of discovering its place in the world following the indignity of invasion; first from Japanese forces during the war, and inherently by British colonial rule. Lee is perfectly placed to influence the culture as popularity shifts from his father’s profession on the Beijing Opera stage to the rise of Cantonese cinema and the foundations of a Hong Kong film industry. The film shows Lee sneaking onto a film set to watch Shek Kin (played in a brief cameo by Chin Kar-lok) in one of his many Wong Fei-hung films. Lee is a teenager when rock and roll hits and he naturally learns to dance, becoming a cha cha champion. He discovers girls – a tortured crush on his best friends squeeze ends in heartbreak – and becomes a target for bullies. Being a hagiography, the film is at pains to show Lee’s culpability in a series of contrived fight sequences. His involvement is usually the result of protecting a friend’s honour or out of a sense of national pride, and he behaves much like one of Bruce Lee’s film characters. He squares off with an obnoxious gweilo in a series of absurd boxing matches. This lends the film an excuse for action but also secures Lee’s admiration for self-defense. He has a fleeting meeting with Ip Man – who is accurately shown as a distant figure who does little more than pose for a photo with his new pupil – and learns the art of Wing Chun. The performances are wonderful, particularly Cherie Chung and Tony Leung who command the first half of the film as Lee’s parents, leaving Cantopop singer Aarif Rahman to carry the rest once Lee reaches adolescence. With his prominent jawline and geeky black-rimmed glasses, he looks a lot like a young Bruce Lee, and plays him as loyal, selfless, and mischievous, if prone to bouts of over-acting. There are no knowing nods to greatness or indeed any reference to academia, which appears to have had scant significance on his upbringing. The overriding image is one of Bruce Lee distinctly rooted in Chinese tradition who is mourned like a war hero once he departs for the States. Dragon reevaluated Lee as a product of the American Dream, but this vision is much more colloquial. Saccharine, too, but in just the right amount, and above all honest.